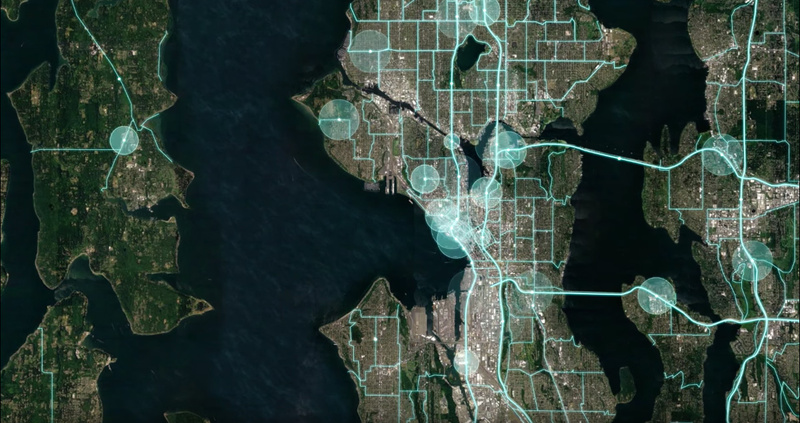 Yesterday, ride service company Uber launched its new website, Movement, which can be used to study traffic patterns and speeds across cities, as well as compare average trip times across certain points. Movement’s data is be aggregated from Uber drivers’ smartphones, which use accelerometers and global positioning technology. Case studies can currently be found on the website, including insights from other cities and feedback from Uber’s early partners in Washington, D.C., and Sydney. Once it’s eventually open to all, Movement aims to meet the needs of various users. City officials can access detailed information that could be used for road improvements, major events, and new transit lines. Movement also intends to provide planners and policymakers with data for decision-making surrounding future infrastructure investments. In some ways, Movement seems to be Uber’s peace offering to cities. According to The New York Times, the company hopes access to its data will persuade city planners to consider the company as part of urban development and transit systems for future city planning. Uber has its critics, though. In the Fast Company article, “Here’s a fresh reminder how Uber and other gig-economy giants use data to get their way with cities,” Ruth Reader reports that giants such as Uber and Airbnb seem to be using their data resources as “means to quell anxious officials.” While receiving much-needed data and resources, she contends, city planners surrender the upper hand to gig-economy enterprises. Hopefully, the future of Movement will bring truth to the words on its home page, “Let’s find smarter ways forward,” and a long-awaited middle-ground between these companies and the cities will be reached. You can visit Movement’s website here.